Yum. Boxing Day sugar cookies. The dough was made in preparation for Christmas festivities. (Oops.) Since X-mas was over I decided not to decorate in classic Santa and mistletoe mode. 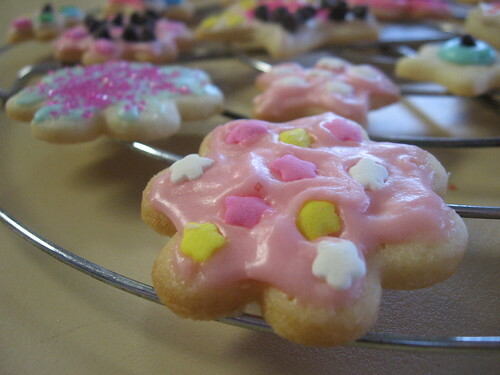 I used the Bella Bistro Mini Cookie Cutter Kit by Toysmith. 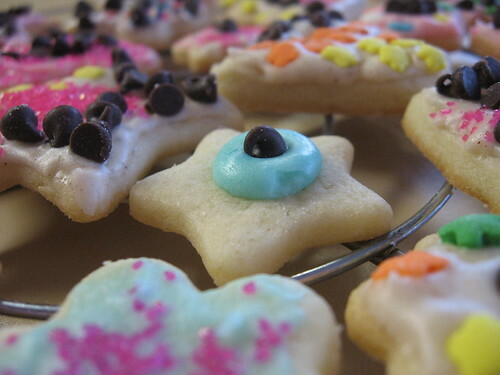 These cookie cutters are tiny, measuring two inches or less. See the star cookie below with the mini chocolate chip? That’s just the middle size. I really couldn’t bring myself to frost a smaller sugar cookie than that. It’s just silly. Well, I was really proud that none of them got burned to a crisp. I can mix ingredients with confidence but getting the timing right for actually baking cookies is not my strong point. I usually wait just long enough that the bottom is lightly charcoaled. One batch of cookies I made last Christmas was completely forgotten. I put the last cookie tray in and after checking once I turned off the oven, fully intending to catch them at the perfect moment. I got distracted and they slowly cooked for half an hour. Since the oven had turned off they didn’t go up in smoke (thankfully) but just came out a really deep brown. They made great tree ornaments though! Speaking of brown, I made cinnamon flavored frosting for one-third of the cookies. I just halved the normal recipe and added one tablespoon cinnamon and the tiniest touch of ground ginger and cloves. I got the idea from Hannah on her blog, Bittersweet. Very tasty and the cinnamon adds a bit of sprinkle to the frosting. My family was skeptical of cinnamon flavor frosting at first, but after a final tally received an ‘okay’ vote. Not a big hit, but I personally think chocolate and cinnamon are perfect together. Shirley Temple was considered for the role of Dorothy in The Wizard of Oz, but studio contracts prevented her from getting the part. I learned something about the nighttime setting on my camera – hold still. The setting must have a really long exposure time, but I didn’t really pay attention to the results until it was too late. All my picture were super blurry. 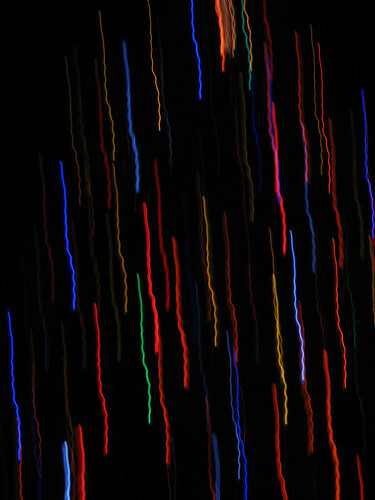 On the upside I got a nifty shot above of the local Christmas tree in all its glory. The effect reminds me of those swirly star pictures of the sky. I was at the Christmas tree lighting ceremony at the local park to get this shot. Tons of people were there. Okay, not Times Square on New Years Eve ‘tons’. ‘Tons’ as in more than I see at the Island Market on a Sunday afternoon. Santa Clause and the missus even managed to show up. 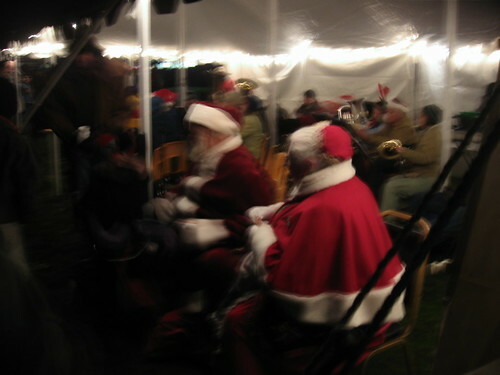 They visited with the kids while the band played Christmas music. This little boy was in my line of sight while I waited, freezing cold, in line for my provisions. 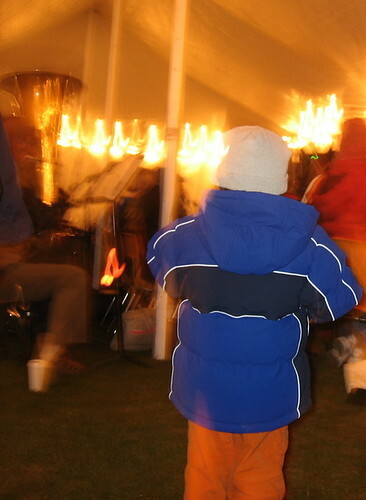 He was so enthralled with the music tent. He stood very still with these wide eyes. I was actually impressed with how long he could stand still. I guess I could chock it up to the holiday season and his inevitable meeting with Mr and Mrs. Claus. Kids seem to become oddly well behaved for short spurts when they are reminded their Christmas present turnout is in the balance. Thirty-six apples will produce one gallon of cider and a single apple needs the energy from fifty leaves to grow. 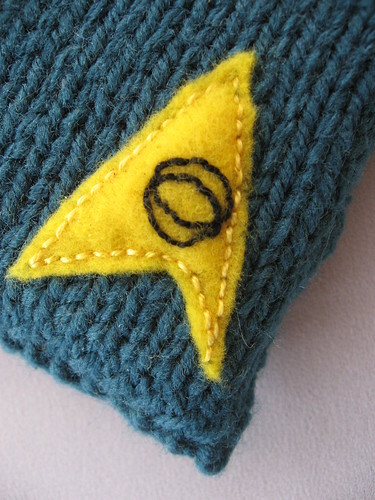 Good guess Christina, but nope, my mystery project isn’t felted. 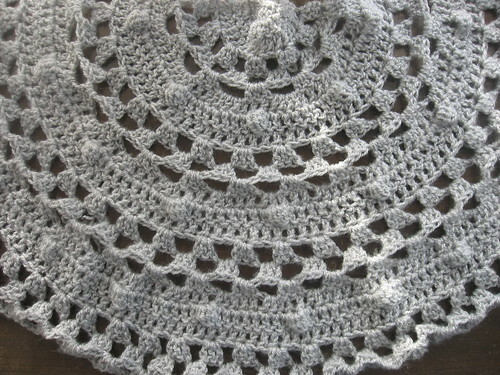 This is the Crochet Half Moon Shawl from Lion Brand in Jiffy. The color is Pearl Grey*. I wanted to make it in a darker color but (surprise, surprise) JoAnn only had six color choices and only two in the amount I needed. I saw this pattern first in the Spring/Summer Lion Brand catalogand put it on the back burners as a project I would like to complete. (I’m sure there’s a snazzy acronym for this but it’s lost on me.) 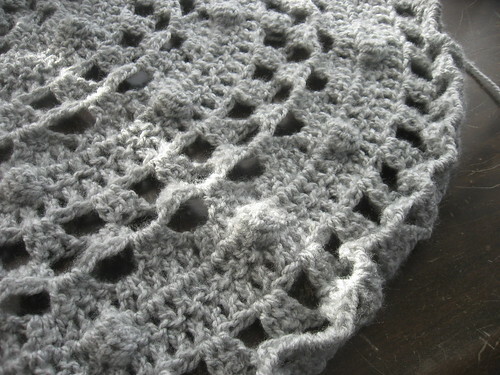 Anyway, then I saw the Half Moon Shawl CAL on Crochetville a few weeks ago, and suddenly I had to try it out. It’s amazing the motivation you can acquire from a CAL by the way. So somehow I thought that it only required three balls and now I am stuck. I need to buy another ball of Jiffy or frog it. I’ll probably keep it and pick up another ball when I get off island again, whenever that is. There are a million different versions of this shawl now. The one I really wanted to make used Lion Brand Romance. I liked the lime color in the picture and the mohair-ish look, but Jiffy was on sale and Romance wasn’t carried at that store. 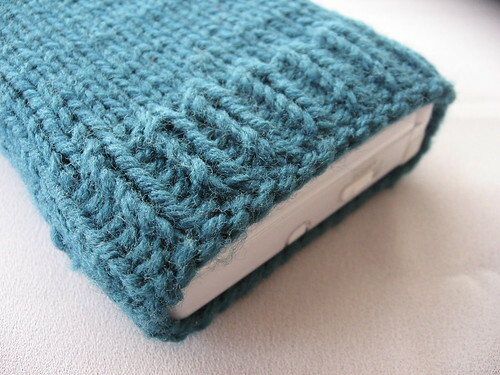 Also there is a version that uses a new yarn called Cupcake. I’m partial to bright colors so I’m excited to lay eyes on the actual yarn. It looks like a slightly sturdier version of Bernat Baby Coordinates Sweet Stripes, the yarn I used for the Chromium Star Blanket. They are both four ply and, from what I can tell, have the same spinning technique. I had trouble with the Sweet Stripes yarn splitting, but to be fair this was probably exacerbated by the fact that I frogged the blanket lots before settling on the structure. Say what you want about RHSS, but you can frog that acrylic a million times and still look fine incorporated in a FO. In all, I liked this project. It’s an easy project, but not sc-square boring. 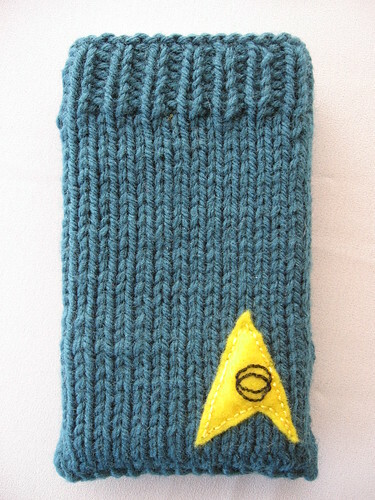 I hear there are some corrections to the pattern, but I wasn’t looking and didn’t see any. Plus, it’s warm, kinda soft and pretty. I can’t complain. *Was anyone else ever taught that gray is the correct spelling for the color? I noticed that Lion Brand spells it with an “E”. I even looked it up on Merriam-Webster. Although they don’t make and distinctions definition wise, they list grey as a variant and the definition is under gray. This whole gray/grey topic reminds me that the television show Grey’s Anatomy changed the “A” to an “E” from the book Gray’s Anatomy. (I didn’t notice this by the way. A Grey’s Anatomy enthusiast pointed it out.) I guess that it’s sort of like through and thru: same meaning, different spelling. Is it wrong to prefer gray over grey? Hmm. The Chinese see a “toad in the moon” as opposed to the “man in the moon”. When there is an eclipse, folklore says that the toad is trying to swallow the moon. 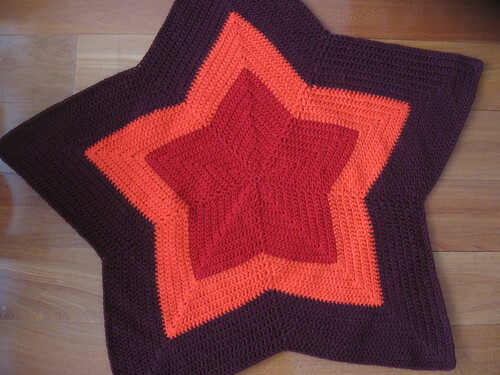 This is another version of the Chromium Star Blanket made with Red Heart Super Saver in Ranch Red, Pumpkin and Dark Orchid. 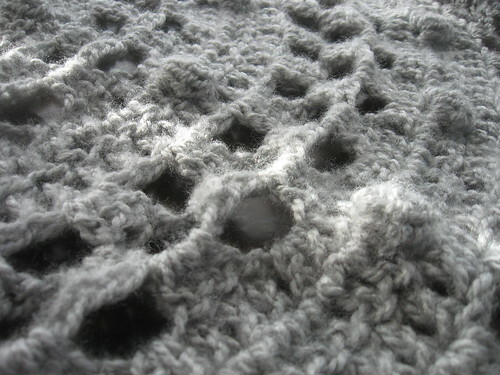 Here you can see the adjacent double crochet stitch (adc) in action. 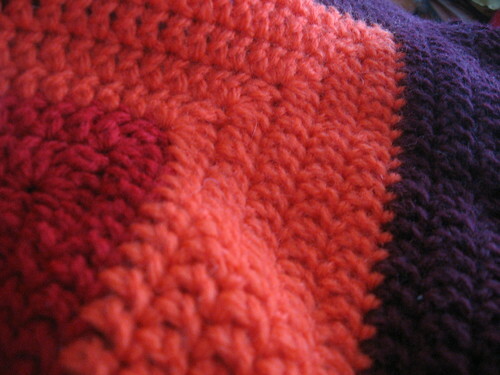 The point is to add height without chains or large holes in the stitch below. 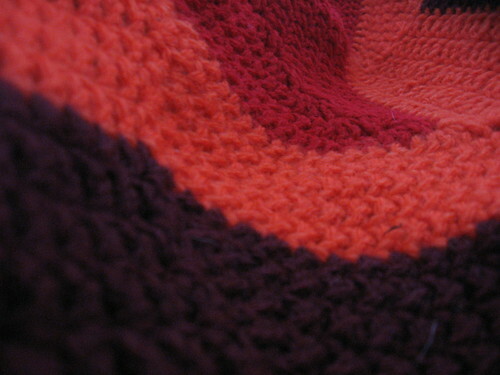 I’ve added a new tutorial for the first three rounds of the Chromium Star Blanket in the tutorials section. I took this picture randomly after a brief session trying to photograph a starghan. My camera was just sitting this way and I figured, why not? Of course I do this, by my estimation, a lot, and they don’t come out quite as coherent. You can see a tiny white wisp on the bottom right hand corner, compliments of my doggie, Biscuit. The whole picture reminds me of a skating ramp like the ones in the Scott Stamnes Memorial Skatepark I drive by on my way to the Island Market. I love driving on Orcas Island. There are no stop lights and very few turns. You just drive and drive 30 mph (or less) to your destination surrounded by ocean views and hills covered by evergreen trees. While it is a great place to learn to drive, when I was a teenager I couldn’t stand it. I wanted to get where I was going and fast. I think I’ve mellowed since then and now I like my quiet drives with the sometimes crackly radio humming in the background and a little white dog with her nose out the back window. There is very little thinking involved since there are so few turns and you are driving so slow and your mind can wander. But this is also true for sitting in traffic on the freeway. 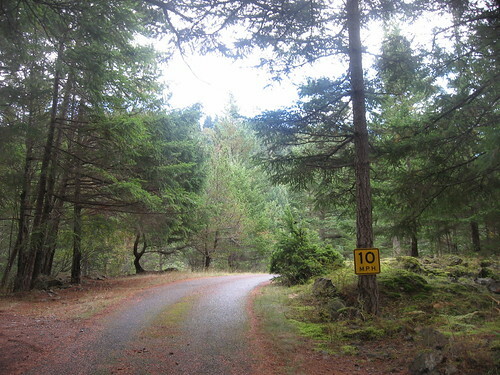 Speaking of freeways, there is a driving lag when you enter the ‘real’ roads after driving on Orcas Island. All of the sudden people tailgate you for going only 5 mph over the limit and cut you off for a parking space when you were cautiously approaching at a reasonable 10 mph. And there are stoplights and street signs everywhere you have to pay attention to. I think it is very similar to that feeling you get after driving on a long trip on the freeways at 75 mph and you drive off the ramp. With your freeway frame of reference 55 mph just doesn’t seem very fast and they want you to take the ramp turn at 30 mph. I’m just saying.